This week in Michigan Politics, political analyst Jack Lessenberry talks about the auto industry, a major land deal for Detroit, prison food service contracts, and the latest in roads. Contract talks are underway between Fiat Chrysler and the United Auto Workers. Lessenberry says important issues on the table include the lack of raises for workers despite Chrysler’s large profits and, most importantly, the two tier wage system. Lessenberry says economics will play a big part in the talks, with Chrysler CEO Sergio Marchionne wanting to get rid of the two tier wage system. But Marchionne thinks the lower wage of the two should be the way to go, leaving the auto workers less than pleased. The Detroit City Council has pushed back a vote on a major land deal that would sell land to the Moroun family so they can build a second bridge. 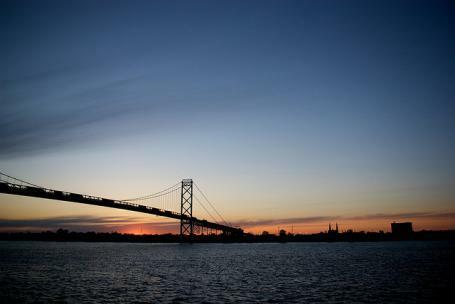 The controversial deal would require the Moroun family, who own the Ambassador Bridge, to give three million dollars to the city for Riverside Park. Lessenberry says the deal is controversial because some would rather the land be leased to the Morouns than sold and the city council is insisting on city benefits for any new bridge. But Lessenberry thinks the naysayers are missing the bigger opportunity. “What city council may be missing here is there’s just no guarantee at all that there will ever be a new bridge,” says Lessenberry. "I think city council risks ruining this whole deal, which would be a very good deal for the city, and for the people of Riverside Park." Maggots in food and inappropriate relationships with inmates are just a few of the problems Michigan prisons saw with Aramark food service. The contract to feed inmates has been given to Trinity Services Group, the only company that bid on the contract. Now a Michigan labor union is challenging the bidding process. The unions want food services to come from state employees like it used to, and they want the bidding to open back up and include state employees. Lessenberry thinks the potential costs might be worth it. "Everybody has to agree that whatever the cost, they did it far better than Aramark," says Lessenberry. Everyone agrees Michigan roads are a problem, but legislators still cannot agree on how to fix them. 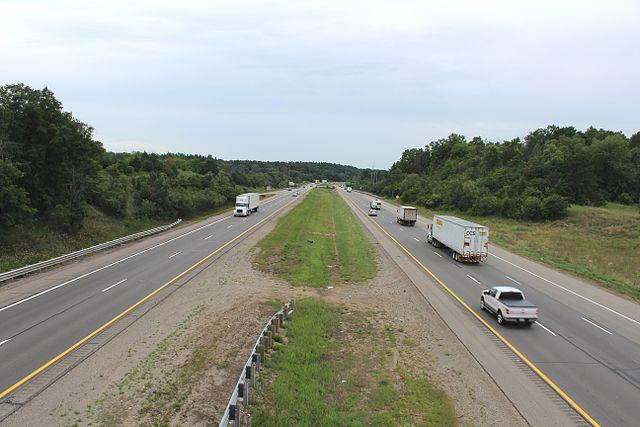 The latest in the road funding debate includes multiple bills. Lessenberry says the bill passed by the House is "mainly fantasy," and would be bad for the poor and made Governor Rick Snyder mad. But the Senate plan isn't much better. According to Lessenberry, it would rely on a "mysterious 700 million dollars cut out of the general fund budget without saying where it would come from." Any plan to fix the roads needs votes from Democrats and Lessenberry says that unless Democrats get some assurances for their constituents, we are still a long way from better roads. The Detroit City Council Tuesday pushed back a vote on a major land deal backed by Mayor Mike Duggan until next week. Some Council members have lingering concerns about a proposed land swap with the Detroit International Bridge Company. They’re still waiting on state reports and legal opinions concerning some key elements of the deal. Is there trouble in store for Fiat Chrysler come September? Some analysts believe so, saying the automaker faces the greatest risk of a strike by fed up Tier 2 workers at Chrysler. Tier 2 workers make roughly half the pay of the higher-seniority Tier 1 workers – while doing the same job. Tier 2 workers also get a lower level of benefits, and they do not get health insurance upon retirement. Both union leaders and Fiat Chrysler CEO Sergio Marchionne agree that it's unfair. 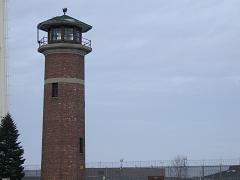 Michigan AFSCME Council 25 says it will challenge the state's new prison food contract with Trinity Services Group. The state announced the deal with the private Florida-based company Monday after ending ties with Aramark over months of complaints. Nick Ciaramitaro, legislative director for AFSCME Council 25, said handing the contract over without first opening it up to other bidders is unlawful. "We're simply exchanging one private vendor for another with no evidence that things are going to improve," Ciaramitaro said. GOP leaders in the state House are working to assemble enough Republican votes to pass a road funding plan that’s likely to raise taxes. House Republicans met on Tuesday to review a Senate-approved plan that raises the state’s gas tax by 15 cents over three years. It also includes a possible rollback in the state’s income tax rate – but that depends on growth in revenues to the state’s General Fund.